Dresses There are 39 products. Beautiful, decorated Viking apron dress. 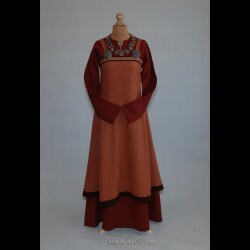 Dress made from olive wool.